Mark Twain mined his rich experiences as a riverboat pilot to craft some of America’s finest novels. Recently, drought in the US Midwest has helped bring to the surface a piece of Twain’s beloved riverboat culture. 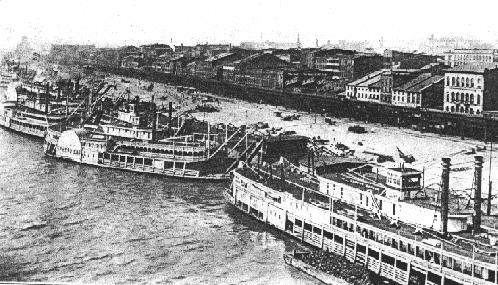 In 1884 the Missouri River claimed yet another victim in the form of the 283 foot steamboat Montana, the largest stern-wheel steamboat to ever ply the Missouri’s waters. Low water levels, though, have exposed a ~180 foot section of the boat’s hull. Professors and students from East Carolina University’s Maritime Archaeology program previously conducted extensive excavations on the site and published their findings in The Steamboat Montana and the Opening of the American West.